When you are greeted by the examiner on your driving test and after the formalities, they will ask you if you would like your driving instructor to accompany you on the test. If you do wish to take along either your driving instructor or another person, they must sit in the back, behind the driver and must remain silent throughout the entire test. Many learners choose not to take their driving instructor on the test simply because they do not want another person, other than the examiner assessing their driving ability. The thought of this can perhaps make them even more nervous than they already are. There are however benefits in taking your instructor on the test. Although the majority of DVSA driving examiners are professional, as with all of us, they occasionally have a bad day. An examiner may for instance fail your driving test for something that shouldn’t really result in a failure and should be more suited to receiving a minor. If you have your driving instructor with you in the car during the test, the examiner is less likely to act in this way. If you do feel that your test was conducted inappropriately, or that the result was incorrect, without an instructor in the car, it’s essentially your word against the examiners if you intend on taking it further. 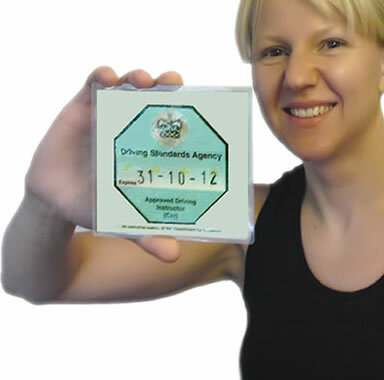 A learner drivers word against an examiners is likely to hold little weight. This is of course a different story if the instructor is there to back you up. Hopefully, none of that will be necessary but there are other reasons that taking your driving instructor on the test is beneficial. If you are unfortunate enough to fail the driving test, your instructor will understand where you went wrong and why you failed. Although the examiner can explain this at the end of the test when they call the instructor over, if the instructor see’s this first hand by sitting with you during the test, they will have a much clearer understanding. A few extra driving lessons before your next test can then be used to address these issues and hopefully lead to a pass next time. Sometimes a learner driver can be a little hazy after a test and may perhaps not be too clear as to why they failed. Sometimes this may simply be down to nerves as a learner may not tend to make these faults on normal driving lessons. Either way, by taking your driving instructor on the test, they will have a clear picture of the situation and should rectify the issues whatever they may be. It is of course entirely up to you if you take your instructor or not. If you really feel that the added pressure of having your instructor accompany you on the test will have a detrimental effect, then perhaps go it alone. Otherwise, it will likely prove much more beneficial if you take them along.